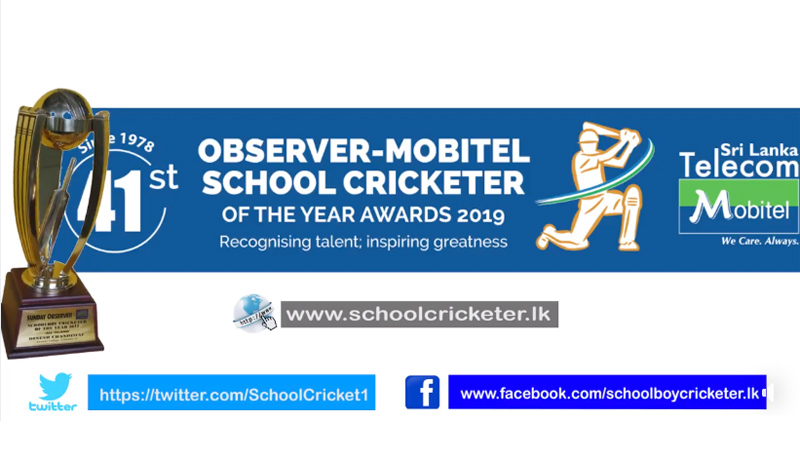 Home » The Observer -Mobitel School Cricketer 2019 : Vote today! The Observer -Mobitel School Cricketer 2019 : Vote today! Vote now for the most popular Schoolboy or Schoolgirl cricketer in the 41st Observer-Mobitel School Cricketer of the Year contest. Coupons in the S-Observer, daily News, Dinamina, Thinakaran and Tharuni papers. Win exciting gifts every week.